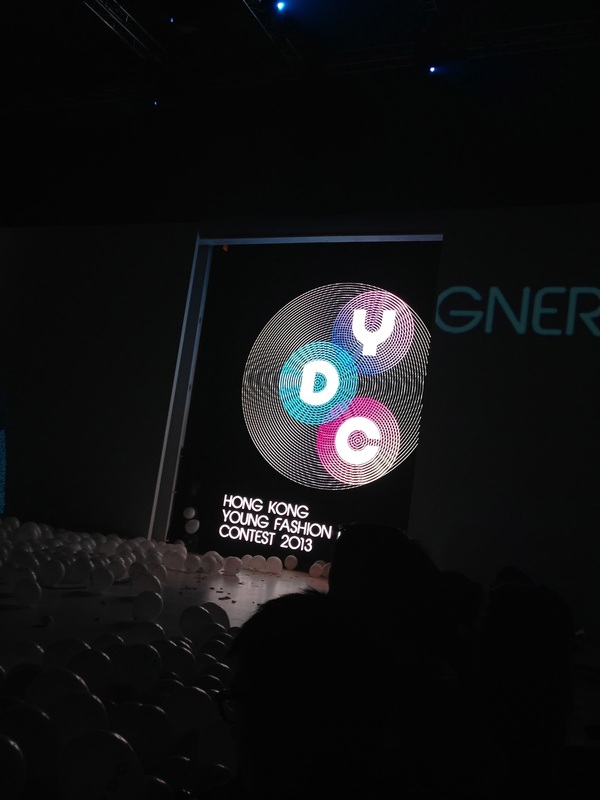 One of the biggest shows that happened during the HKFW was the Hong Kong Young Fashion Designers Contest. I made sure that I would witness this one - thanks to Vanessa H. of HKTDC. Fourteen young fashion desigers competed by categories, Contemporary Day-Wear group and Party & Evening - Wear Group. The competition panel members includes the Director of Harajuku Project Showroom - Kyoko Mashiko, Marketing and Int'l business Vice President of I.T. Apparels - Deborah Cheng, Co-wear Int'l Fashion Designer - Hidy Ng, Chairman and CEO of Semeiotics Inc - Jimmy Chan and South China Morning Post Fashion Editor - Jing Zhang (I'm a fan). Plus, Chief Judge Ms. Shirley Chan - Chairman of HKTDC Garment Advisory Committee and VIP Judge, Creative Director, Mr. Marc Ascoli. reminds me of Victoria's Secret. YDC Ex-Winners also joined the show. They had a seriously fierce entrance with all those balloons (watch the video - scroll down ;) ). Hera won the 'Favorite YDC Design"
Elizabeth won 'Best Innovation Award', the 'Party & Evening-Wear Group Winner' plus, THE OVERALL WINNER! wearing FOREVER21 tee and leggings // H&M blazer // TOPSHOP hightops.